February 15, 2016 – The Adams State University Summer STEM Academy will host an Open House from 9 a.m. until 2 p.m. Saturday, February 27. 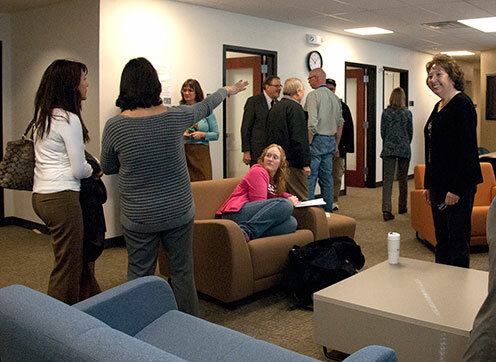 The Adams State Title V Science, Technology, Engineering, and Mathematics (STEM) Center is located on the third floor of Porter Hall, room 319. The event is free and open to the public and includes free snacks. The Title V STEM Center welcomes incoming high school sophomores, juniors, and seniors, and their parents, to the informational open house. The event will be a great opportunity for parents and students to see first-hand what the Summer STEM Academy has to offer, ask questions, and meet Title V STEM staff. Previous STEM Academy participants will be available to share their experiences. In October 2011, the U.S. Department of Education awarded Adams State a $3.6 million grant from the Hispanic Serving Institutions (HSI) STEM program. The five-year grant has funded several initiatives to help more Hispanic and low-income students earn a STEM degree. Included in grant programs, Adams State hosts a Summer STEM Academy for incoming high school sophomores, juniors and seniors. Selected participants will have an opportunity to spend two weeks at Adams State where they will not only experience dorm life, but will also interact with ASU STEM faculty who will expose them to science, math, and technology in exciting, hands-on ways at the college level. For more information, contact Simona Guillen, STEM activity coordinator, at 719-587-7586 or stemcenter@adams.edu.